So far this month, I’ve feng shui-ed a closet and a shelf in my fridge. I’ve moved on to feng shui-ing the top of my desk. 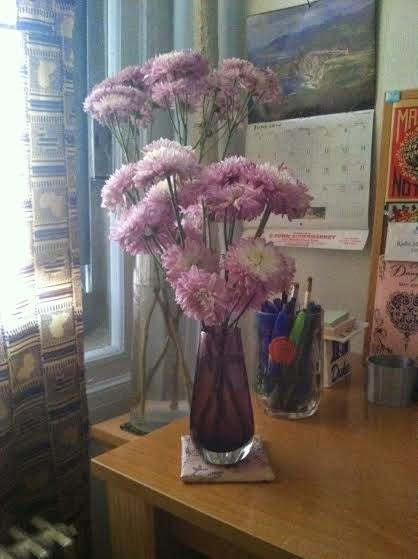 Although the ones displayed above are on their last legs, they’ve stayed alive for 9 days and have really had it good. I’ve run way behind schedule at least 3 times to clean their vases, feed them (homemade flower food: 2 tblps sugar, 2 tblps vinegar, 4 cups water), and tend to their other needs before leaving them on their own for the day. Can’t wait to replace them with sunflowers. They’re the parts for a Nikon digital camera I bought 2 years ago and have never used. 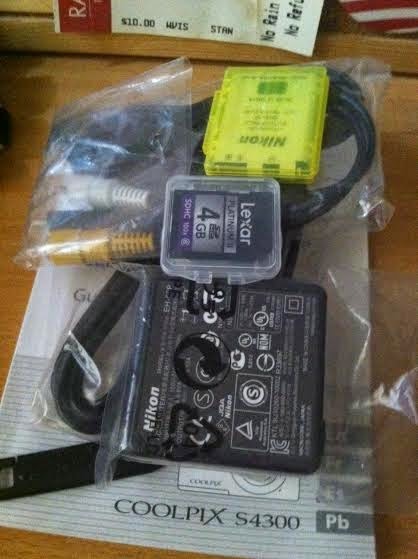 I stared and made flustered faces at the unexpected pile of parts that came with the camera for several weeks before unexpectedly getting my first iphone, which soon became all the camera I need. I now have no use for a Nikon and neither does anyone in my circle - they have iphones too. When people stop me on the street to take a picture of them, they hand me an iphone. I haven’t handled a real camera in years. 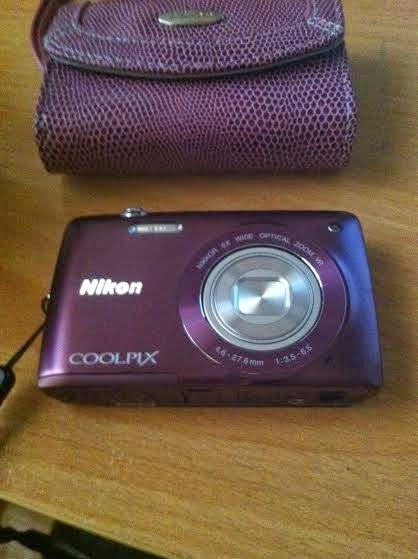 Email me if you or anyone you know wants a small, purple, price-negotiable camera and matching carrying case. Opening an Ebay account would mean squeezing another username and password onto the log-in information list I keep in my day planner. Bad feng shui. That camera is a cutie-pie. I advise hanging on to it. And the flowers are beautiful. Definitely good feng shui and well worth running late for. I had a similar experience during my move to NYC. I found my old violin and flute... Polished them up and started taking lessons again. Good karma!